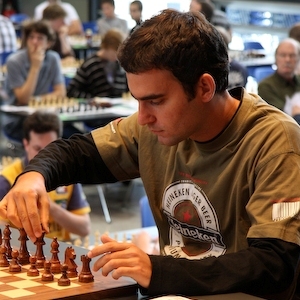 The main event of the 2008 Biel Chess Festival, Grandmaster Tournament, had a thrilling last round when Russian GM Evgeny Alekseev caught Leinier Dominguez on the first place tie and then beat him in head-to-head blitz tiebreaks to claim the trophy. 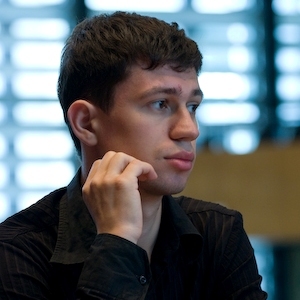 Dominguez enjoyed a full point lead ahead of Alekseev and Carlsen prior to the last round and only needed a draw against Etienne Bacrot to secure the top place. Bacrot, however, played in a full swing after the shaky start and beat Dominguez with white to sign fantastic 4.0/5 in the second tournament leg. Earlier, Magnus Carlsen signed a draw with Alexander Onischuk after black equalized in Ruy Lopez and forced reduction in material. These results presented Alekseev with wonderful opportunity to win with white against Yannick Pelletier and catch up with Dominguez. He succeeded and later won the tiebreaks against already downhearted Cuban.